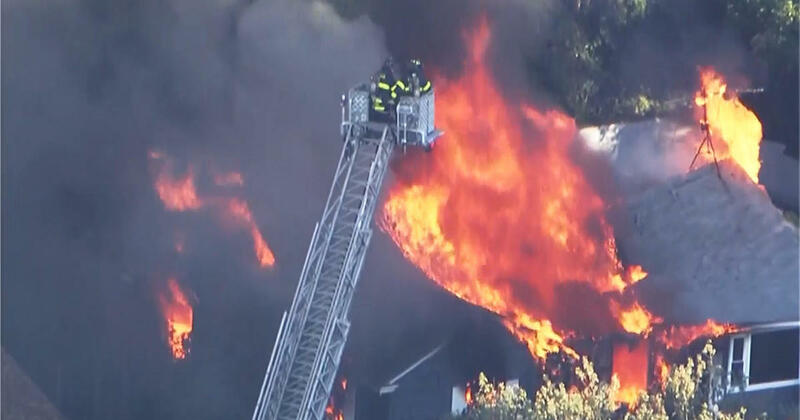 At least four people were injured Thursday after dozens of houses caught fire due to suspected gas line explosions in three communities north of Boston. Massachusetts State Police said they have responded to 39 fires in Lawrence, Andover and North Andover, and expected that number to rise. Residents living in those communities who have gas service from Columbia Gas were told to evacuate their homes. The 35 fires in Andover have been extinguished. Authorities said it was still too early to speculate what sparked the sprawling explosions, but emergency crews were working on depressurizing the gas lines. At least 4 people, including a firefighter were injured by the fires, according to the Associated Press. Massachusetts Gov. Charlie Baker tweeted that he’s urging residents to follow instructions from local officials about evacuations and to suspend their gas usage.